There was something about the form and substance of the Annals of the Four Masters, compiled in the 1630s, that allowed them to become accepted as an authentic, reliable and comprehensive record of Gaelic society. Drawing on a rich heritage of manuscript sources on Irish history, these annals have long been regarded as an essential element of the cultural capital of a community that valued its Gaelic past. 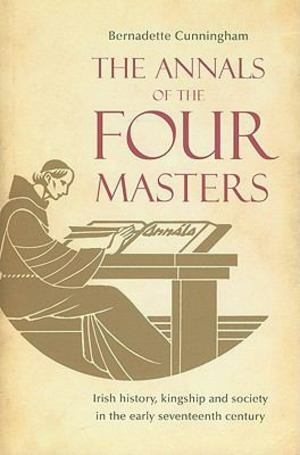 The Four Masters' approach to making their own annals conveys their regard for the older written records that had preserved for them, in manuscript, the history of their ancestors. This study surveys the scholarly and political context, both Irish and European, that inspired the annalists, reconstructing the networks of professional expertise and patronage that contributed to the pursuit of scholarship about the Irish past. The original manuscripts of these annals are used to illuminate how the annalists collaborated in the production and revision of their magnum opus, while comparison with the extant source texts consulted by the annalists reveals their priorities and their understanding of the world in which they lived. This book was awared the Irish Historical Research Prize in 2011. This prestigious prize is offered in alternate years for the best work of original Irish historical research by a graduate of the National University of Ireland.